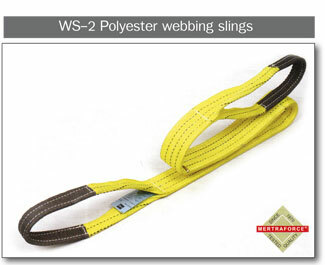 • Double ply polyester webbing sling with reinforced lifting eyes. • Each kg class has its own colour code. violet ray, rot and midew. • Lightweight easy to handle, store and clean. • No less strength in water. • According to Machine Directive 89/392/EC. * designtegrated by concentrated sulfulic acid. 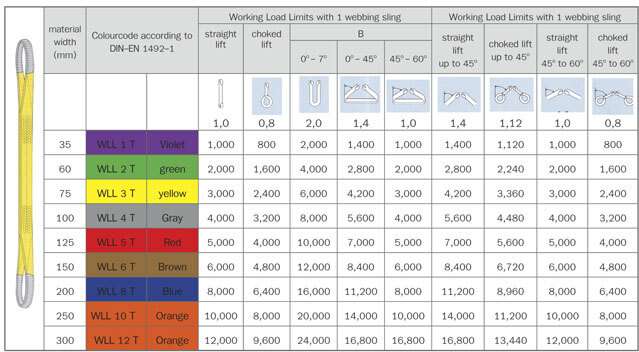 Higher chemical concentrations and/or higher temperratures will lower the resistance of the sling.